When Erv Gambee takes a week off in August to paddle the Thornapple River, the Caledonia resident won’t be alone. Gambee, the president of the Thornapple River Watershed Council, will be joined by others — several dozen others. More than 80 paddlers have signed up for some portion of the 68-mile trip down the Thornapple River — a five-day adventure from Vermontville to Ada being dubbed the Thornapple Expedition. Organizers say the group is likely to exceed 100 when registration for the event closes July 15. The expedition is Aug. 6-11. The concept of exploring the river’s length is modeled after the 2010 Grand River Expedition, a 225-mile trip held every 10 years to raise public awareness about the river’s health. The Thornapple is one of five sub-watersheds for the Grand River; the others are the Looking Glass, Maple, Flat and Rogue rivers. At the end of the 2010 Grand River Expedition, participants agreed that a decade was too long to wait, and suggested trips down each of its major tributaries on alternate years. Strouse is planning to paddle and camp with her 13-year-old son, Matthew. She said spending time on the river will be good for them. Strouse, who specializes in non-point pollution issues, will be on the lookout for problem sites along the river. 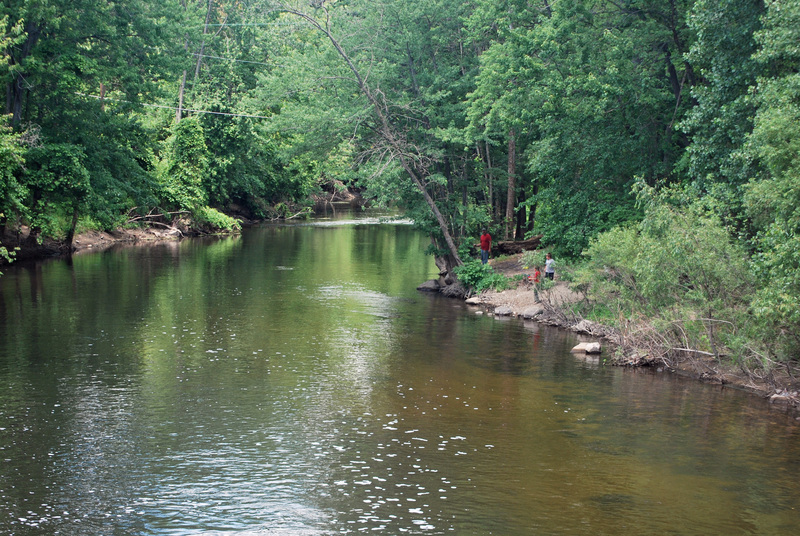 Experts say the Thornapple is not a highly impaired waterway, but it has erosion, sedimentation and E. coli problems — the latter thought to be due to issues on the Coldwater River, one of the Thornapple tributaries. Joanne Barnard also looking forward to the trip. She is the executive director for the Barry Conservation District and a member of the expedition committee. She, Strouse and Gambee are among the 41 paddlers so far who plan to paddle the entire length. Others have signed on for a day or more. Barnard will be paddling with her 6-year-old daughter, Lucy. Her 10-year-old son, Thomas, will paddle a separate kayak. Thomas, she said, wasn’t crazy about the idea of paddling with Mom, but being in his own boat changed his outlook. “It’s going to be neat to see the whole river in a week,” Barnard said. “But I am also going to try to look for other things along the river besides protection issues. Preparations for the expedition resulted in the clearing of a new 8- to 10-mile section of river. Local volunteer groups from Vermontville and Nashville cleared the route in the upper river. Passage also is being enhanced by the 2009 removal of the Nashville dam. The expedition is open to the public. Paddlers can sign up for a day and pay a $35 or sign up for the week for $150. The fee includes insurance, meals, camping and gear transportation. Children younger than 12 can go for $25 a day or $100 for the week. “No one thought this would be as large but we are getting a great turnout,” Strouse said. This story and more can be found on MLive Outdoors. This entry was posted in Uncategorized and tagged Paddling, Rivers, Thornapple Expedition, Thornapple River, Thornapple Watershed Council. Bookmark the permalink. This may not work if we don’t get rain. I crossed the Thornapple today and could not believe what it looked like. There is practically no water.